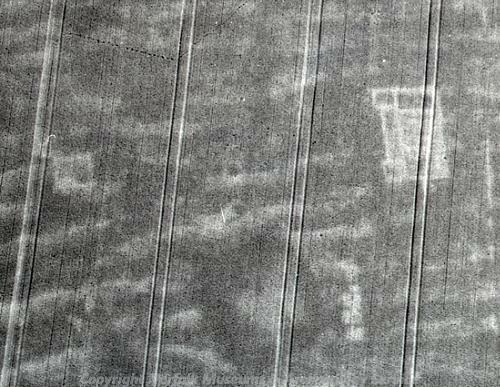 A visible sign of buried archaeological features reflected in the growth patterns of crops above the feature. Above ditches of areas high in organic content crops will grow higher and ripen later (negative cropmark). Above walls crops will grow shorter and ripen earlier (positive cropmark, parchmark).